It is indeed a tiring year and there’s no better way to end the 2018 than to spend all your spare time with your family. As Christmas gets near, a lot of important stuff will come out of the corner and will really keep you busy. 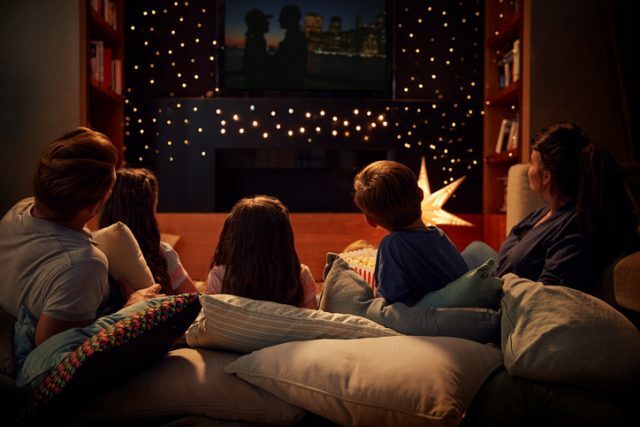 So before the holiday errands get most of your time from your kids, why not sit down and have a simple but fun movie night with them. For a movie buff like me, a perfect movie night with my kids really helps me gets off the stresses that I had during the day. With the Christmas just a few steps away from us, then might as well use this season to spur the imagination of your children. Set the TV and cuddle with your kiddies. Relax while watching some of the fun Christmas movies of all time. Here is a round up of entertaining films to watch and help you bring the yuletide spirit home. One of the most favorite Christmas-themed movies, Home Alone tells the story of the McCallister that went on a family trip to spend their Christmas vacation at Paris. As planned as it is, everyone went to the vacation without a hiccup until they realized that they have left the young Kevin all alone at home. The eight-year-old boy gets accustomed to being alone and enjoys his freedom. However, troubles seem to be following him when two burglars attempt to steal from their house. To keep him safe, Kevin plans a series of fun traps and pranks to get the burglars out of the property. Released in 2004, The Polar Express has enchanted kids for generations with its unique plot. The animated film focuses on the story of a boy who found The Polar Express outside their house on the eve of Christmas. Based on Chris Van Allsburg’s book, the film is about the adventures of the boy who jumps in the train and join the other riders to the North Pole to get a bell from Santa Claus’ sleigh as his Christmas gift. Jingle All the Way reflects the challenges that parents face during the yuletide season. Starring Arnold Schwarzenegger, the comedy movie’s plot revolves around the last minute shopping experience of a super busy and workaholic father. Despite his crazy schedule, he goes out on a shopping spree and jumps from one mall to another on Christmas Eve just to find the hottest toy of the season, Turbo-Man action figure, which his son wants to get for the holiday. A comedy movie starred by Will Ferrell, Elf will surely bring smiles and laughter to your kids. The story focuses on the life of a very tall man who was raised by Santa’s elves after getting into Santa’s Christmas sack back when he was still a young child. Kids will surely have a fun time watching the hyper and accident-prone Buddy’s journey of locating his real dad. Care for a classic movie? Then The Santa Clause will seal the deal. Recommended for all ages five and above, this film stars Tim Allen who portrays the character of a big time toy firm boss. The movie gets exciting after Santa Claus falls off Allen’s roof and the executive decides to replace Santa Claus and deliver the gifts to kids on Christmas Eve. Depending on the theme that you want to watch with your kids, there are a lot of movies to keep the yuletide cheer to your place. Check out the Netflix and other streaming sites for free fun films for the family. What are you waiting for? Grab the popcorn and start the movie marathon.